Vietnam – The Robusta Coffee Capital of the World! "Thank you so much for your teaching! I didn't wait for degassing. Roasted and ground and brewed. It is amazing!!!!" I think there has been something extremely seductive about making myself a coffee, in the last few days… Every morning, I would wake up half an hour earlier and choose my green beans then throw them in the roaster. With a lazy step, I would go and take a quick shower: my skin would refresh under the velvety water while I’d fill my lungs with a deep aroma of coffee and chocolate together. Wrapping my body in a soft towel, I’d turn on the music and direct towards the kitchen. I’d wait for that subtle sound that accompanies the crushing beans then I would start brewing, for some minutes only. I would measure the powder and fill my Italian Moka (Pot). While choosing my clothes for the day, I would wait for the beep of the machine, telling me that the coffee is ready. I would pick my cup and pour half of the black liquid inside: closed eyes, I would breathe in, again and again, then take the first sip. My lips, my mouth and my heart would progressively be warmed up and my senses would be rewarded by the intense flavour, which would finally invade my brain. I would open the eyes and pour in the other half. This round, I would linger with pleasure under the very first rays of the sun, till my cup would be empty. Asher's coffee has changed my passion for coffee. Being Italian I was raised with coffee and milk therefore coffee became pretty much part of the day to day life, one shot espresso and off I go, until I met Asher Yaron and his Freshly roasted organic Kintamani arabica, coffee. All of a sudden coffee tasted so much better, smell so nicely that I could only drink his coffee. I used to travel with 1 or 2 pack of F.R.E.A.K. 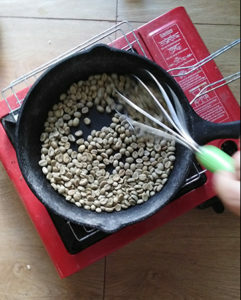 coffee beans and savory it and then felt so sad when the beans were finished, but now with Pak Kopi revolutionary Power Roaster I can travel with my green beans knowing that it will always be fresh and it will always taste so good. Pak Kopi Power roaster is such a revolution in my life, in today's fast pace life it has brought back a sense of calm and satisfaction, the ritual of roasting every morning the beans I will need for the day, allowing the whole house filling up with coffee's aroma, breathing in all its fragrance when the beans are cooling off, grounding the beans and prepare the coffee to my liking in the comfort of my home is a unique feeling. The whole process of making coffee is now a ritual that allows me to slow down while enjoying preparing a cup of coffee, knowing that when I will have my first sip of the day the flavour of my day will have changed for the better. This coffee has the power to make me feel happy, content and it taste so good. Thank you, Asher you are a master of your craft. Today marks the start of a momentous era in my evolution as a coffee drinker, a point of no return from which there can never be any... return. Ten years ago I only drank coffee at weddings as a poor man's cocaine just so I could stay up later consuming alcohol and dancing. It was black and viscous and loaded up with as much milk and sugar as possible while still allowing for a caffeine kick. Eight years ago, as the father of a newborn who woke at 5 most days, I started taking Maggie down to the Dunkin Donuts on our block for a morning cup of milky, sweet and tepid Joe. (Maggie preferred the Mochacinno Frappe.) Seven years ago we moved to Indonesia, and with a stressful job and a kitchen in the office I started on a few cups of Kopi Bali a day-- locally grown and roasted but usually pretty poor quality, finely ground and added directly to hot water in the cup. High acid, lots of sediment. Four years ago Asher Yaron Pak Kopi himself, arrived on the scene and kick-started in earnest the development of my coffee consciousness with the development of FREAK, a locally grown, organic Arabica fresh roasted in machines he had specially built here. I bought a French Press, and then a stove-top Moka espresso maker. My transformation was nearly complete. Today, I am the proud owner of Asher's latest gift to the coffee drinking universe: a Pak Kopi home power roaster. This morning I took a scoop of freshly harvested green coffee beans (coffee berries, actually), popped them into the roaster and 4 minutes later made the freshest, most alive cup of coffee in my history as a coffee drinker. There's no going back baby! Two double lattes later I feel euphoric, yet calm. And I look great-- even my abs seem to be more ripped. Just hoping I can get this device through customs on my way back to the US next month. I don't think I can survive without it for six weeks. Thanks and terima kasih, Asher Yaron. Long live Pak Kopi! It's been going great and the cafe has been a success! People are loving the freshness. I wanted to thank you so much for introducing us to your roaster! One Year Later: The business is going well and people love the coffee… I have been approached by one cafe in the city that's very busy to roast for them so that's also a possibility for the future and we're excited. I love roasting its been really enjoyable and I'm getting better and better at it. I have had my coffee roaster for about a year. I use it daily. It takes 8-10 min to roast the beans, then another 5 minutes to cool completely before grinding. Home roasting is a way to ensure freshness. You can really tell the difference and it would be hard to go back after roasting your own. One cup is totally satisfying. For two people it is the perfect capacity. 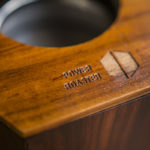 I highly recommend the Pak Kopi’s Power Roaster. 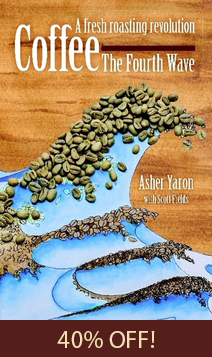 I watched Asher Yaron's presentation at Tedx and get interested more on his philosophy about coffee. So i go to YouTube and go to his channel. I watched all his videos. He got really interesting point a view about coffee so i tried it. One of my attempt is buying his Power Roaster. At first my roasting is way overcooked and the second one is slightly better but still feel way bitter when i make coffee with it with pour over method. Then i show it to Asher and he is very helpful and kind enough to share and make sure i get it right. And you know what? i get way much better in the next batch. More consistent and not overcook. The experience that i have after trying this is you can tell the difference between a really fresh coffee with coffee I just roast, and with the coffee bean that is more than a week old. One of the different that really significant is when i did the pour over coffee on the blooming process the coffee that was more than a week, it just has a foam from the gas. But the fresh coffee that i just roast with Power Roaster, it bloom beautifully like it became a live...seriously. I amazed how it bloom all the way up make like a half of a ball shape. And the taste also more fresh. I tried with Bali Kintamani green bean." I was a big fan of TED. And in mid 2012, I came across a TEDx video recording. And this man with an intense look in his eyes shared his knowledge on this bean and the importance of Freshly Roasted beans. Within a week of exchanging several messages with Asher, I bought a home-kit from him and started roasting. In the past weeks, the amount of knowledge I have learnt from Asher has been astronomical! And these weren't just "theory". Because I have started roasting my own coffee and experienced all the various differences between Just Roasted coffee which I grind and brew almost immediately once the beans cool… and the experience is VERY different. And at almost every step of the way, whenever I had questions, Asher was there for me. Thanks to Asher for his unselfish sharing of knowledge, I now know much more about coffee, and I'm sure there's a whole lot more to learn and experience for myself. And of course, the more I know, the more confused I am about some of the commercial practices today. I am now ready to start a Coffee Revolution with Asher aka Pak Kopi. Thanks Asher! Toda! Thanks Asher for answering all my questions and for bringing us the home roasters. I have been roasting my beans over a pan for the past few weeks. I can't stress enough difference of just-roasted coffee versus the mainstream ones. Now, I can do it in lesser time and effort. I'll share this knowledge to more people. Hope to see you in Indonesia, soon. Coffee – The Fourth Wave: A fresh roasting revolution and get 40% off today! Just enter your name and email below and you'll get instant access to Asher's new PDF guide to making the best coffee you've ever had! 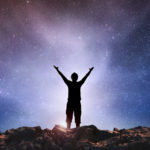 Happiness: Achieving it, Keeping it, and Expanding it! This site is dedicated to exploring the truth about coffee. 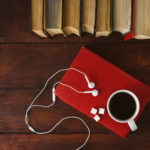 Coffee is the most widely used psychoactive substance on the planet, yet the mainstream has controlled, dominated, and steered the conversation to be about taste alone. As with other “truther” subjects, follow the money. The commercial coffee industry has created a business model based on marketing, packaging, and shelf life. 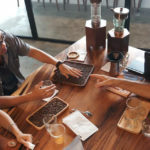 We want to expose and debunk the myths about coffee while simultaneously offering alternatives so that the general public can benefit from this sacred substance, this drug for human consciousness! 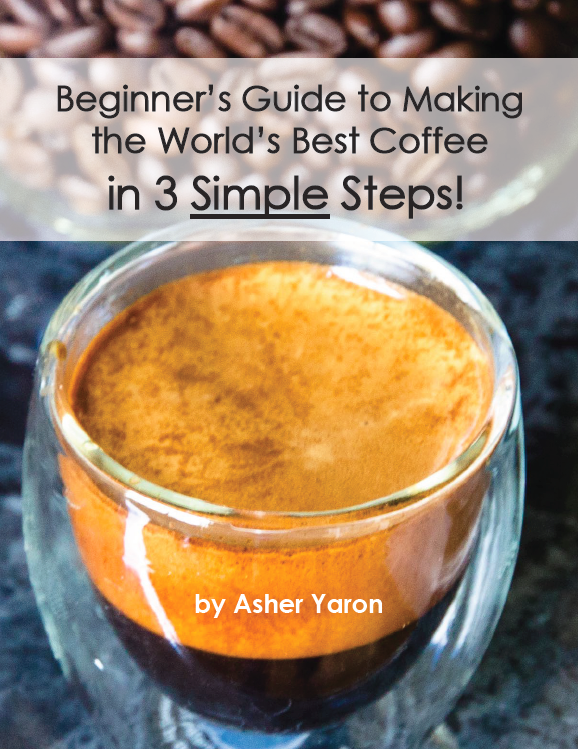 Asher's new PDF guide to making the best coffee you've ever had! By submitting, you agree to receive our newsletter. We will respect your privacy and will not spam you.